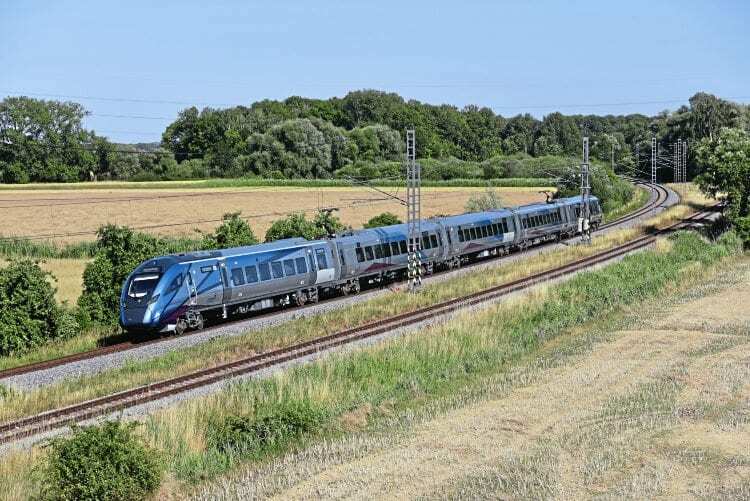 SPANISH train manufacturer CAF has started testing of the new five-car, high-speed Class 397 EMU TransPennine Express, which will be branded as ‘Nova 2’. The tests are being held at Velim test centre in the Czech Republic, also known as ‘Velim circuit’, and started on July 3 using the small test ring. On the large test ring another CAF train for TransPennine Express – the ‘Nova 3’ – was performing test rides. This is the formation of five CAF carriages that will be worked in push-pull mode by Class 68 locomotive. Later in the afternoon both trains changed circuits, allowing the ‘Nova 2’ to reach its maximum speed of 200 kph (125mph).